Calligraphy (Greek: kallos "beauty" + graph? "writing") is the art of writing. A new definition of calligraphic practice is "the art of giving form to signs in an expressive, harmonious and skillful manner". The story of writing is one of aesthetic evolution framed within the technical skills, transmission speed(s) and materials limitations of a person, time and place (Diringer 1968: 441). A style of writing is described as a script, hand or alphabet. Modern calligraphy ranges from functional hand lettered inscriptions and designs to fine art pieces where the abstract expression of the handwritten mark may or may not supersede the legibility of the letters. Classical calligraphy differs from typography and non-classical hand-lettering, though a calligrapher may create all of these; characters are historically disciplined yet fluid and spontaneous, improvised at the moment of writing. 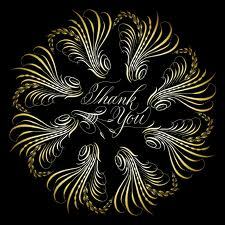 Calligraphy continues to flourish in the forms of wedding and event invitations, font design/ typography, original hand-lettered logo design, religious art, various announcements/ graphic design/ commissioned calligraphic art, cut stone inscriptions and memorial documents. Also props and moving images for film and television, testimonials, birth and death certificates/maps, and other works involving writing. Calligraphy is more than ‘beautiful handwriting’ or ‘ornate lettering techniques.’Calligraphy is the art of forming beautiful symbols by hand and arranging them well. It’s a set of skills and techniques for positioning and inscribing words so they show integrity, harmony, some sort of ancestry, rhythm and creative fire. True, calligraphic letters and pages are usually dressed up with some form of decoration: gold, colour, pattern, pictures, flourishes etc. (More about that elsewhere.) But this ornamental layer only decorates the underlying FORM. There is a big difference between a beautiful form and beautiful ornament. 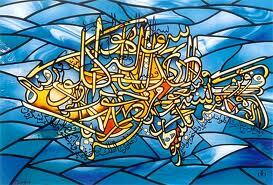 Calligraphy is about symbols themselves being beautifully formed. Think of the structure and form of an alphabet-letter as being like the bones and muscles of a body. Naked, undecorated calligraphy should look good just as it is, in the same way that athletes and supermodels would look good without their clothes on. The first goal of handwriting is to be quickly and easily written and accurately read. Beauty, personality and impact are not as important in handwriting as clarity and speed. So, although calligraphy is a kind of handwriting, and some handwriting looks calligraphic, they are not the same. It’s the difference between ‘writing as an art form’ and ‘artistic-looking handwriting’. Calligraphy aims to produce an 'art' reaction. Handwriting aims to be read. 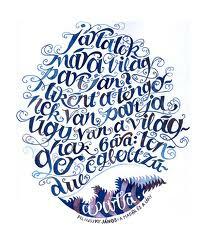 Lettering is a bigger subject: it is everything to do with the formation and use of alphabet letters. Insofar as calligraphy requires good letter-formation, it overlaps with lettering a great deal. But they are still different disciplines with different purposes. Lettering can be excellent as lettering without having to be a piece of individual art, which is what calligraphy aims for. 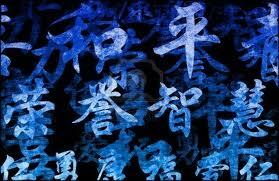 And, on the other hand, Chinese calligraphy (for example) can be the most beautiful art, but it doesn't necessarily involve any kind of alphabet letters. There is a big overlap between calligraphy and lettering. But their purposes aren't the same. Calligraphers are highly conscious of the history of writing, and their work is shaped by a long, inventive heritage. Imitating historical handwriting is a wide, well-lit highway to calligraphic success. But copying the handwriting-style or the work of others is not the creative purpose of calligraphy. Learning historical hands is a method of training the hand and eye, rather than a final destination in calligraphy. Fonts are the styles of lettering used in machines and printing-presses. Yes, machine letters are a vital aspect of lettering and yes, beautiful fonts and typefaces are often designed by calligraphers. 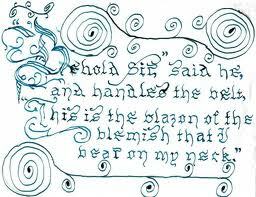 Calligraphers even use software to arrange pieces and create or adjust letter-forms. But the individual ‘stamp’ of the calligrapher’s personality on the work is ultimately what makes calligraphy an art form. The individual 'fire' or 'soul' which is unique to one piece doesn't translate into letter-forms that have been standardised for machine use. A calligrapher’s skill can never be judged on the basis of individual letters, just as musicianship cannot be heard in single notes. A full sense of an individual’s vision and mastery of the medium comes from the relationships brought into being between many elements.